Despite an existing skills gap and an imminent labor shortage in the field, U.S. manufacturing is holding strong and continues to produce high yields. In fact, figures from the Institute for Supply Management revealed that in February 2018 the industry expanded at its fastest rate in 14 years. Despite complications with long lead times and supplies, demand is expected to continue. Machine learning may be just what manufacturing needs for its expansion to persist. As Bloomberg reported, factories across the country are continuing to demonstrate strong footing by delivering on output, as 15 of 18 manufacturing sectors were found to have grown in February, according to the ISM. Leading the charge were primary metals, printing and machinery. The factory index rose to 60.8 last month, a reading well above the 50 mark that clearly indicates positive expansion. The ISM report indicated that confidence from organizations and a rallying worldwide economy have helped boost production. "Manufacturing expanded at its fastest rate in 14 years last month." In particular, manufacturing technology orders were on the rise early this year, marking a significant increase from January 2017. Reporting on figures from the most recent U.S. Manufacturing Technology Orders report from the Association For Manufacturing Technology, Industrial Distribution noted a 44 percent increase in technology orders within the manufacturing industry for January 2018. Amounting to $372 million in orders, January become the second best-selling month in the 22 years of reported data. "The large volumes ordered in January were on par with expectations and indicative of the capacity expansion we expect U.S. manufacturers to pursue throughout 2018 and well into the next year," said Douglas Woods, president of the Association of Manufacturing Technology. Machine learning can help improve production and reliability in manufacturing. Though manufacturing indexes remain strong, the aforementioned hurdles such as meeting demand and dealing with suppliers need to be addressed. As Forbes contributor Louis Columbus argued, machine learning will transform the industry this year. Various platforms and algorithms of machine learning can benefit manufacturers in their attempt to improve production at the factory level, while maintaining quality and avoiding complications with factors such as short lead times, supply issues and high demand, Columbus explained. Drawing on data from a McKinsey & Company report, Columbus also noted that errors in supply chain forecasting could be minimized by 50 percent through machine learning. This would help to reduce sales loss as well. As Industry Week explained, the biggest thing preventing manufacturing plants from reaching their full potential is data, is that most of what comes out of the production line is never properly analyzed. Using the IoT and machine learning can change that. 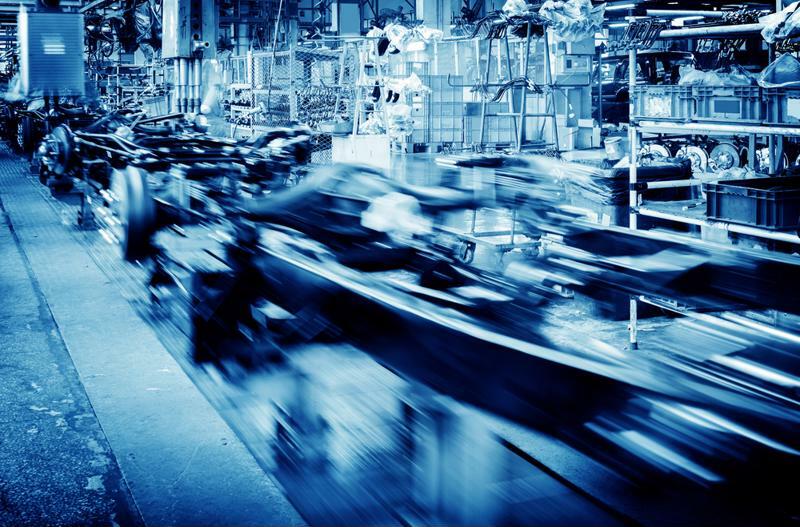 If manufacturers can effectively utilize machine learning to improve outcomes at the business and factory floor levels, the industry can smooth out complications standing in its way of production, quality and accuracy. This overhaul will require the collaboration of software developers, manufacturers and executives. With the disruption of technology, comes the fear of job loss - no matter the industry. While machine learning in manufacturing may impact lower-level jobs, the need for high-skilled worker and manufacturing talent is only set to increase, and some colleges and companies are already planning ahead, the Journal Sentinel reported. "You're moving people and upscaling their skills, not eliminating jobs," said Raymond Koukari Jr., dean of manufacturing, engineering and information technology at Gateway. "You eliminate a lot of repetitive motion stuff; what robots are good at. You still have to have people who can read a blueprint on robotics, know fluids, electronics and IT." To prepare for the shift, some universities are creating new degree programs that can prepare students for work in manufacturing companies adopting the "industrial internet of things," the Journal Sentinel reported. One such university, Gateway Technical College in Kenosha, Wisconsin, has developed two new degree programs: advanced manufacturing technology and supply chain management. Though still under approval, the programs would train students for not just the local Foxconn electronics plant, but also for the changing landscape of the field as a whole. As the Gateway Technical College President and Chief Executive Officer Bryan Albrecht observed, manufacturers across the board are looking to adapt to the changes technology that are taking over the industry. Bringing degree offerings up to speed is an effective way to fill the impending skills gap and keep top talent relevant and qualified. The current programs are targeted at industrial and manufacturing technicians as well as analysts. Foxconn has said that it will help with not just job placement - noting its need to hire skilled workers, but also with internship programs. Similar partnerships between universities and manufacturing companies across the country could be the answer for a shortage in skilled workers.